This garden fencing is made from heavy duty PVC coated wire. This garden fence is a welded rigid mesh with no need for straining wires. 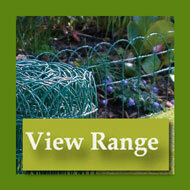 This green plastic coated wire netting is ideal for use around the garden. Size: 10 metres long x 0.6 metre high. Size: 10 metres long x 0.9 metre high. This heavy duty coated wire mesh fencing is manufacured from galvanised steel with welded rigid mesh with no need for straining wires. 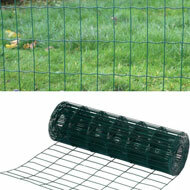 This green plastic coated wire netting is ideal for use around the garden. Size: 10 metres long x 1.0 metre high. Size: 10 metres long x 1.2 metres high. 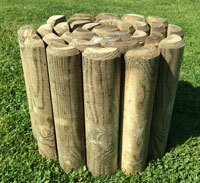 We also sell border wire fence a decorative border fence ideal for flower borders.